Is histamine a villain… or really an undercover superhero? In this post, we will first discuss how histamine receptors work. 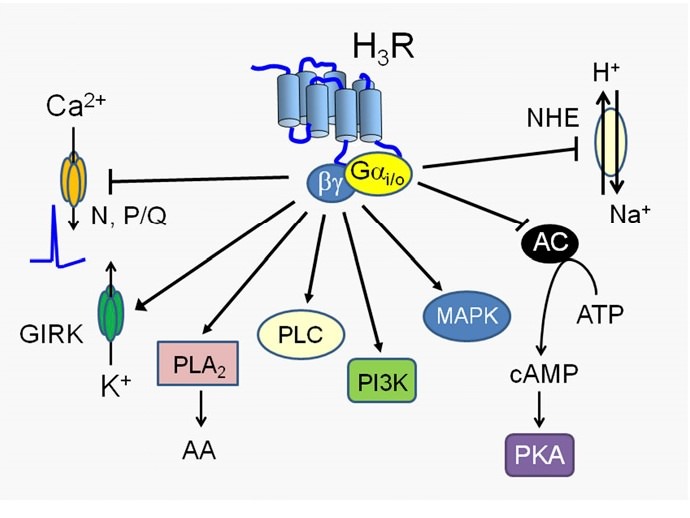 Why Antagonize The H3 Receptor? Among the 4 histamine receptors, H3R almost exclusively expresses in the nervous system and has dual functions as an auto- and hetero-receptor. This allows H3Rs to modulate the histaminergic as well as other other neurotransmitter systems. Most histaminergic neurons are located in the Hypothalamus Tuberomammillary Nucleus (TMN), and their axons innervate almost all brain regions including the Basal Ganglia (BG - part of the brain which integrates motor and sensorial information originated in the cerebral cortex and the thalamus). This placement of H3Rs in the BG is an evolutionarily (strategic) move, as it allows H3Rs to modulate both incoming and outgoing synaptic information. 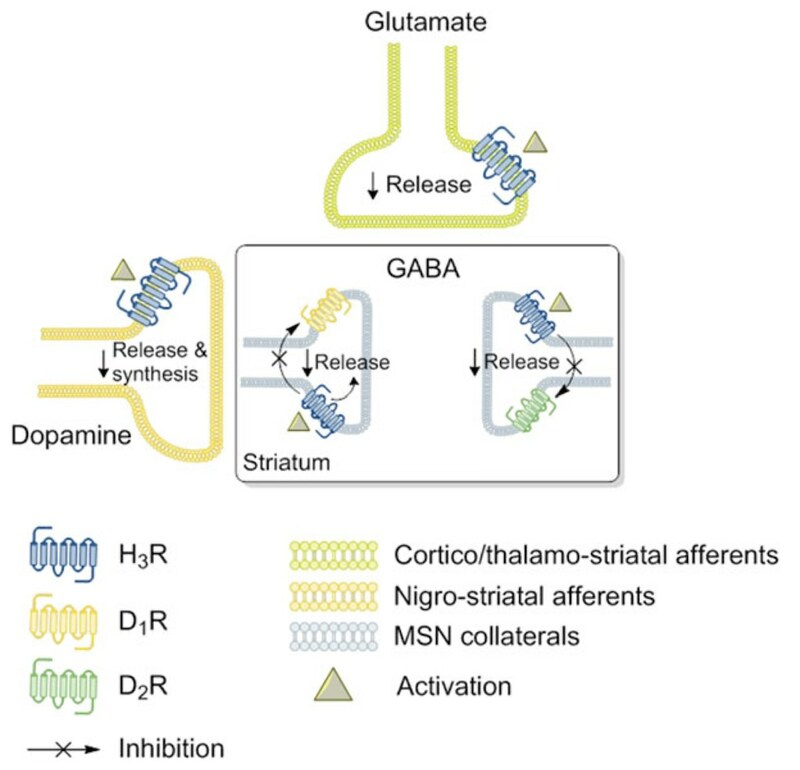 In the Striatum (caudate-putamen), H3Rs work on GABAergic Medium-Sized Spiny Neurons (MSNs). 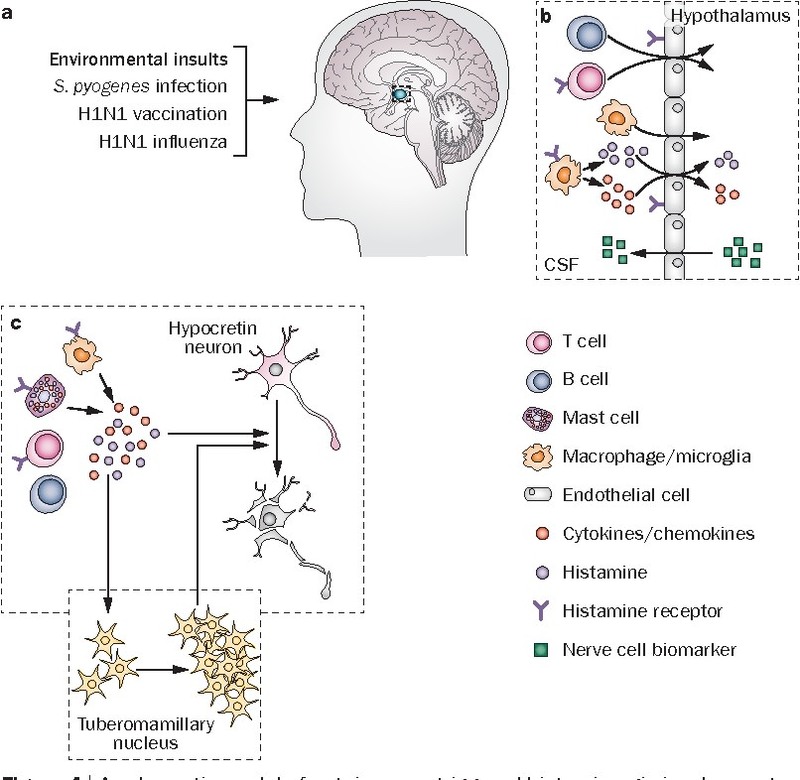 H3Rs also play a role in the Globus Pallidus (GP), Entopeduncular nucleusSubthalamic nucleus (STN), and Substantia nigra [compacta (SNc) and reticulata (SNr)] - more described in Mechanism Of Action section. Many of the benefits from the H3R come from inhibiting H3R's effects, either by antagonism or inverse agonists. 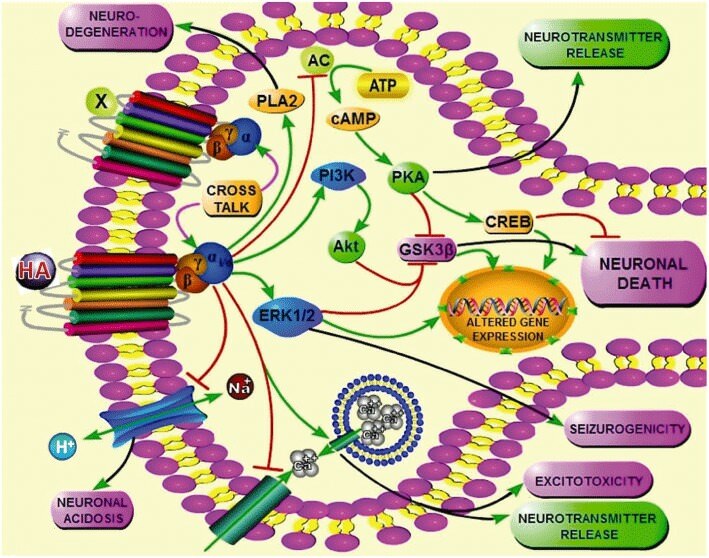 For more detail, antagonizing H3R may abrogate the effects describe in the "Simple" Mechanism Of Action Section. H3R antagonists (such as Thioperamide) demonstrate that H3Rs negatively regulate food intake. They may even protect the brain during drinking. Speaking of protecting the brain, H3R antagonism may improve cognition and learning. H3R antagonism may have benefit in AD and clinical trials are currently under way. 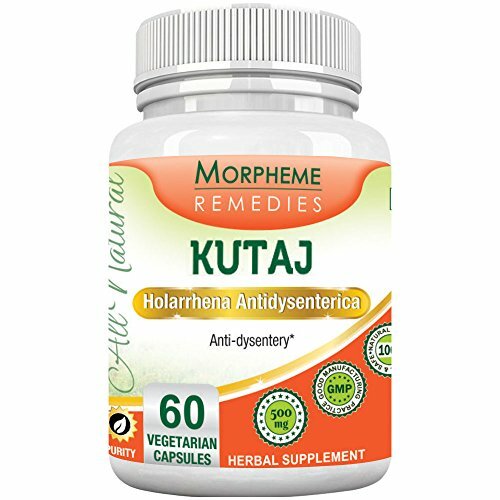 H3R antagonists have stimulant and nootropic effects and may improve cognition and memory. In Phase 3 clinical trials, BF2.649 has also been found to promote wakefulness in patients with Excessive Daytime Sleepiness (EDS) associated with narcolepsy (phase 3), PD (phase 3), Obstructive Sleep Apnea syndrome (phase 3), and epilepsy (phase 3). H3R antagonism may also benefit blood flow in the brain. H3R antagonism significantly improves attention and may help with Attention Deficit Disorders (ADD). H3R antagonists may help with cognition in Schizophrenia. H3R antagonism may benefit anxiety and depression. Both the H3Aand H3D isoforms contain the full-length third intracellular loop but have different C-termini. All the other isoforms have deletions in that loop (H3B and H3E: 32 amino acids; H3C and H3F: 48 amino acids).